3-Sarah Walker was born on 24 May 1890 in Westbury, Tasmania, died on 27 Sep 1951 at age 61, and was buried on 29 Sep 1951 in Deloraine Cemetery (D101-0525). Another name for Sarah was Sadie. Sarah married Adye Albert Victor Viney, son of Robert Viney and Harriet Pestell, on 30 Mar 1911 in Latrobe. Adye was born on 22 Apr 1872 in Evandale, Tasmania, died on 7 Feb 1960 in Eskleigh Home, Perth, Tasmania at age 87, and was buried on 9 Feb 1960 in Deloraine Cemetery (D101-0525). 4-Douglas Adye Viney was born on 31 Jul 1907 in Moltema, died on 31 Mar 1984 in Ulverstone, Tasmania at age 76, and was buried in Apr 1984 in Deloraine Lawn Cemetery. He served in the Second World War. Douglas married Claudia Lillian Knight. Claudia was born on 30 Jun 1915, died on 15 Mar 1992 at age 76, and was buried on 18 Mar 1992 in Deloraine Lawn Cemetery. They had two children: Gilbert Victor and Geraldine. 5-Gilbert Victor Viney was born on 23 Jan 1953. Gilbert married Anne Maree Heffernan. Anne was born on 10 Jan 1953. They had four children: Adrian Victor, Elisia, Jonathon Douglas and Mitchell Gilbert. 6-Adrian Victor Viney was born on 18 Jan 1978. 6-Elisia Viney was born on 24 Sep 1980, died on 24 Sep 1980, and was buried in Sep 1980 in Deloraine Lawn Cemetery. 6-Jonathon Douglas Viney was born on 22 Dec 1981. 6-Mitchell Gilbert Viney was born on 30 Mar 1983. 5-Geraldine Viney was born on 8 Jun 1955. Geraldine married Ian Bellchambers. Ian was born on 16 Mar 1951. They had four children: Michael, Carla, Mathew and Daniel. 6-Michael Bellchambers was born on 18 Jun 1976. 6-Carla Bellchambers was born on 12 Jun 1978. 6-Mathew Bellchambers was born on 19 Mar 1980. 6-Daniel Bellchambers was born on 31 Mar 1982. 4-Jessie Viney was born on 19 Nov 1911 in Brooklyn, Whitefoord Hills, Tasmania, died on 20 Dec 2005 in Launceston at age 94, and was buried in Cremated at Carr Villa. Jessie married Ronald Gordon Viney, son of Sydney Viney and Emily Amelia Maude Bromhall, on 6 Dec 1930 in Baptist Manse, Devonport, Tasmania. Ronald was born on 17 Aug 1905 in Ulverstone, Tasmania, died on 22 May 1976 at age 70, and was buried in Cremated at Carr Villa. They had two children: Kelvin Richard and Barbara Ann. 5-Kelvin Richard Viney was born on 25 Apr 1931. Kelvin married Heather Arnold. Heather was born on 30 May 1931. They had three children: Christine Ann, Robin Jean and Helen Fay. 6-Christine Ann Viney was born on 3 Aug 1957. Christine married Robert Stanley Avery. Robert was born on 11 Mar 1955. 6-Robin Jean Viney was born on 1 Oct 1959. Robin married Grant William Leech. Grant was born on 3 Nov 1957. They had two children: Caroline Elizabeth and Andrew James. 7-Caroline Elizabeth Leech was born on 5 Aug 1981. 7-Andrew James Leech was born on 9 Sep 1987. 6-Helen Fay Viney was born on 14 Jun 1961. Helen married Peter John Hall. Peter was born on 28 Apr 1954. They had one daughter: Jessica Anita. 7-Jessica Anita Hall was born on 22 Jul 1986. 5-Barbara Ann Viney was born on 5 Aug 1935. Barbara married Ronald John Dawson. Ronald was born on 8 Mar 1930. They had two children: Vicki Ann and Peter John. 6-Vicki Ann Dawson was born on 5 Aug 1955. Vicki married John Burt. John was born on 30 May 1954. They had two children: Jeremy and Megan Jane. 7-Jeremy Burt was born on 17 May 1979. 7-Megan Jane Burt was born on 14 Dec 1982. 6-Peter John Dawson was born on 23 Jan 1958. Peter married Rosalie Jane Muir. Rosalie was born on 22 Oct 1960. 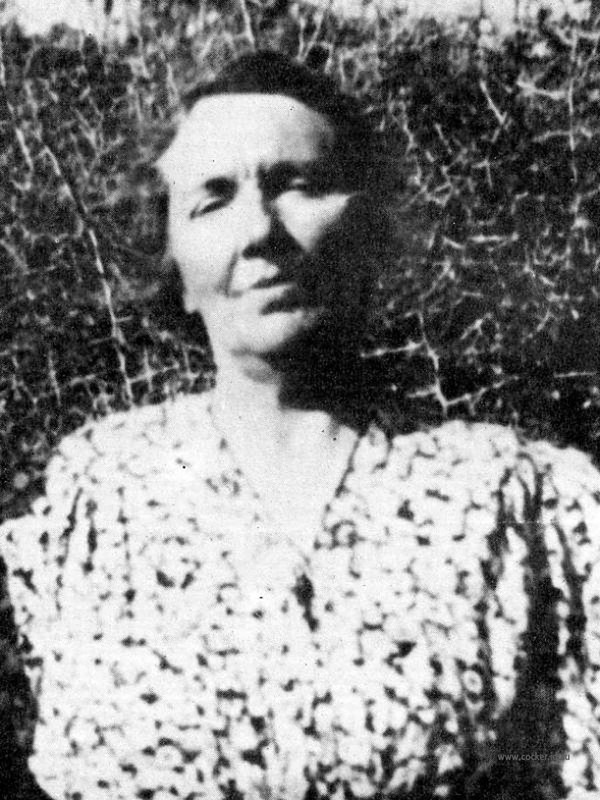 Barbara next married August Joseph Kraxberger. August was born on 25 Jul 1932 in Austria and died on 27 Sep 2006 in the Launceston General Hospital at age 74. 4-Trevor Viney was born on 8 Mar 1913 in Brooklyn, Whitefoord Hills, Tasmania. Trevor married Helen Elizabeth Campbell. Helen was born on 4 May 1912. They had four children: Kaye Helen, Maureen Lesley, Harley Jane and Alexandria Heather. 5-Kaye Helen Viney was born on 16 Aug 1939. Kaye married Alan Robert Jones. Alan was born on 24 May 1938. They had three children: Kim Loray, Colin Trevor and Leanne Mandy. 6-Kim Loray Jones was born on 15 Jan 1960. 6-Colin Trevor Jones was born on 7 Mar 1962. 6-Leanne Mandy Jones was born on 4 Feb 1966. 5-Maureen Lesley Viney was born on 9 Aug 1941. Maureen married Neil William Page. Neil was born on 11 Nov 1939. They had three children: Gay Maree, Andrew Neil and Christopher William. 6-Gay Maree Page was born on 26 Mar 1961. 6-Andrew Neil Page was born on 4 Aug 1962. 6-Christopher William Page was born on 19 Oct 1967. 5-Harley Jane Viney was born on 22 Mar 1945. Harley married Clifton Mead. Clifton was born on 21 Jan 1937. They had one son: Clifton Trevor. 6-Clifton Trevor Mead was born on 27 Dec 1971. 5-Alexandria Heather Viney was born on 25 Aug 1947. Alexandria married Gregory Attrill. Gregory was born on 15 Jan 1946. They had two children: Jenny Marie and Stephen Gregory. 6-Jenny Marie Attrill was born on 25 Jan 1982. 6-Stephen Gregory Attrill was born on 27 Aug 1983. 4-Wilson Viney was born on 20 Apr 1914 in Brooklyn, Whitefoord Hills, Tasmania and died on 16 Jun 1976 at age 62. Wilson married Una Mary Winwood, daughter of George Winwood and Rosie Rudd. Una was born on 27 Nov 1914 in Deloraine, Tasmania. They had four children: Wilson Rex, Anthony Ross, Rosemary Anne and Elizabeth. 5-Wilson Rex Viney was born on 6 Nov 1939. Wilson married Heather Ramsay. Heather was born on 24 Jul 1946. They had one daughter: Katherine. 6-Katherine Viney was born on 23 Oct 1973. 5-Anthony Ross Viney was born on 12 Sep 1942 in Burnie, Tasmania. Anthony married Wenday Gardam on 4 Mar 1967. Wenday was born on 22 Feb 1947. They had three children: Darren, Mathew and Natalie. 6-Darren Viney was born on 8 Feb 1968 in Queensland. 6-Mathew Viney was born on 20 Nov 1974. 6-Natalie Viney was born on 23 Nov 1977. 5-Rosemary Anne Viney was born on 3 Jan 1944. Rosemary married Ray Turton. Ray was born on 10 Apr 1942. They had one daughter: Kim. 6-Kim Turton was born on 8 Aug 1969. Kim married Peter Chilcott. Peter was born on 19 Oct 1962. They had one son: Michael. 7-Michael Chilcott was born on 5 Mar 1987. 5-Elizabeth Viney was born on 2 Mar 1951. Elizabeth married Robert Dewis. Robert was born on 29 Oct 1944. They had two children: Louise and Christopher. 6-Louise Dewis was born on 22 Oct 1976. 6-Christopher Dewis was born on 22 Nov 1978. 4-Frances Joan Viney was born on 25 Mar 1916 in Brooklyn, Whitefoord Hills, Tasmania. Frances married Norman Francis George Donald, son of Alfred Geo. Henry Donald and Annie Elizabeth Grills. Norman was born on 10 Feb 1916 in Westbury, Tasmania, died on 7 Jun 2005 in Adelaide, South Australia at age 89, and was buried in Jun 2005 in St Andrew Church, Westbury. They had one daughter: Janine Marcia. 5-Janine Marcia Donald was born on 22 Feb 1949. Janine married David John Martin. David was born on 9 Mar 1942. They had one son: David John. 6-David John Martin was born on 29 Jun 1977. 4-Roma Joy Viney was born on 31 Dec 1918 in Brooklyn, Whitefoord Hills, Tasmania. Roma married Lindsay Gordon Clarke. Lindsay was born on 29 Apr 1904 and died on 5 Aug 1980 at age 76. They had four children: Graham Wilson, Irene Dorothy, Yvonne Joy and Robert John. 5-Graham Wilson Clarke was born on 2 Jul 1938. Graham married Mavis Irene French. Mavis was born on 4 Sep 1937. They had three children: Peter Wilson, Geoffrey Alan and Merrilyn Joy. 6-Peter Wilson Clarke was born on 16 Nov 1962. Peter married Gaye Zylstra. Gaye was born on 16 Dec 1963. 6-Geoffrey Alan Clarke was born on 31 Jul 1964. Geoffrey married Julie Anne Preece. Julie was born on 18 Apr 1964. 6-Merrilyn Joy Clarke was born on 19 Jan 1968. 5-Irene Dorothy Clarke was born on 17 Jul 1939. Irene married Alan Horridge. Alan was born on 2 Jan 1934. They had four children: Helen Elizabeth, Alan Douglas, Russell Alex and Christopher Leslie. 6-Helen Elizabeth Horridge was born on 31 Dec 1957. Helen married Philip Walker. Philip was born on 6 Sep 1956. They had four children: Richard Gordon, Shannon Edward, Michael James and Nathan Daniel. 7-Richard Gordon Walker was born on 14 Jul 1977. 7-Shannon Edward Walker was born on 15 Feb 1980. 7-Michael James Walker was born on 13 Apr 1984. 7-Nathan Daniel Walker was born on 6 Oct 1986. 6-Alan Douglas Horridge was born on 12 Oct 1959. Alan married Christine Pope. Christine was born on 5 Sep 1964. They had two children: Luke Christopher and Jacinta Amy. 7-Luke Christopher Horridge was born on 7 Jul 1985. 7-Jacinta Amy Horridge was born on 16 Jun 1987. 6-Russell Alex Horridge was born on 23 Mar 1961. 6-Christopher Leslie Horridge was born on 10 Aug 1962. Irene next married David Cooney. David was born on 1 Jan 1941. 5-Yvonne Joy Clarke was born on 6 Aug 1940. Yvonne married Ivan Thomas Trembath. Ivan was born on 22 May 1928. They had three children: Martin Bruce, Paul Wesley and Natalie Fay. 6-Martin Bruce Trembath was born on 16 May 1964. 6-Paul Wesley Trembath was born on 11 Sep 1965. Paul married Anita Maree De Boer. Anita was born on 28 May 1967. They had one son: Shaun Thomas. 7-Shaun Thomas Trembath was born on 27 Jun 1987. 6-Natalie Fay Trembath was born on 30 Oct 1967. 5-Robert John Clarke was born on 17 Oct 1947. Robert married Kathleen Margaret Cross. Kathleen was born on 15 Oct 1949. They had three children: Margaret Mary, Richard Charles and Josephine Louise. 6-Margaret Mary Clarke was born on 6 May 1971. 6-Richard Charles Clarke was born on 6 Jan 1972. 6-Josephine Louise Clarke was born on 3 Aug 1974. 4-Harriet Fay Viney was born on 27 Sep 1921 and died on 25 Sep 1959 in Burnie, Tasmania at age 37. Harriet married Maxwell Owen Langham. Maxwell was born on 27 Jun 1922 and died on 17 Feb 2006 at age 83. They had one son: John Charles. 5-John Charles Langham was born on 5 Jun 1950. John married Judy Nunn. Judy was born on 9 Jul 1950. They had two children: Marie and Timothy. 6-Marie Langham was born on 20 Jul 1971. Marie married Philip. 6-Timothy Langham was born on 17 Oct 1973. Timothy married Natasha. 4-David Pestle Viney was born on 16 Jan 1924 and died on 20 Feb 1924. 4-Athol Dudley Viney was born on 21 Aug 1925 and died on 31 Jul 1990 in Ulverstone District Hospital at age 64. Athol married Edna Agnes Deacon. Edna was born on 21 Sep 1927. They had four children: Michael John, Ian Douglas, Phillip Ernest and Gaylene Ruth. 5-Michael John Viney was born on 19 Aug 1948. Michael married Jan O'Brien. Jan was born on 1 Jul 1954. They had two children: Scott Mathew and Teresa Ann. 6-Scott Mathew Viney was born on 9 Jun 1978. 6-Teresa Ann Viney was born on 9 Jun 1981. 5-Ian Douglas Viney was born on 31 Aug 1950. Ian married Elaine Wilson. Elaine was born on 25 Jul 1950. They had two children: Jason Scott and Lynda Marie. 6-Jason Scott Viney was born on 31 Aug 1974. 6-Lynda Marie Viney was born on 14 May 1976. Ian next married Hoda Hobeika. Hoda was born on 25 Jul 1950. They had one son: Steven James. 6-Steven James Viney was born on 2 May 1985. 5-Phillip Ernest Viney was born on 9 Oct 1956. Phillip married Dawn Stubbs. Dawn was born on 14 Dec 1956. They had two children: Narissa Joy and Daniel Charles. 6-Narissa Joy Viney was born on 24 Mar 1980. 6-Daniel Charles Viney was born on 7 Jan 1982. 5-Gaylene Ruth Viney was born on 17 Jan 1962. 4-Malcolm Viney was born on 27 Apr 1928. Malcolm married Beryl Terese Everett. Beryl was born on 13 Jan 1930. They had four children: Colin Malcolm, Valerie Winsome, Christopher and Neil Douglas. 5-Colin Malcolm Viney was born on 20 Feb 1953. Colin married Anne Hawker. Anne was born on 24 Nov 1956. They had one daughter: Amelia Mae. 6-Amelia Mae Viney was born on 26 Sep 1981. 5-Valerie Winsome Viney was born on 3 Dec 1954. Valerie married Philip Munday. Philip was born on 18 Nov 1953. They had two children: Hayley Ruth and Lynda Maree. 6-Hayley Ruth Munday was born on 13 Mar 1976. 6-Lynda Maree Munday was born on 28 Sep 1978. 5-Christopher Viney was born on 20 Nov 1956. 5-Neil Douglas Viney was born on 20 Nov 1958, died on 29 Aug 2006 at age 47, and was buried on 1 Sep 2006 in Launceston. Neil married Vicki Lee Wood. Vicki was born on 13 May 1964. They had one son: Joseph. 4-Doreen Margaret Viney was born on 30 Sep 1930, died on 5 Nov 2008 in The Presence Of Her Family at age 78, and was buried on 10 Nov 2008 in St Marys Church of England, Hagley. Doreen married Maxwell James Bramich, son of Lindsay Mervyn Bramich and Mary Fitzpatrick. Maxwell was born on 27 Feb 1925, died on 24 Jun 1987 in Deloraine, Tasmania at age 62, and was buried on 27 Jun 1987 in St Marys Church of England, Hagley. They had nine children: Dale Maxwell, Sadie Margaret, Danny Shane, Ronald James, Charles Andrew, Helen Louise, Kathleen Joan, Bridget Jane and Emily Alice. 5-Dale Maxwell Bramich was born on 16 Aug 1952. Dale married Jan Patricia Padgett. Jan was born on 4 Feb 1951. They had four children: Daniel Andrew, Allecia Faith Rona, Davina Maggie and Kent Padgett. 6-Daniel Andrew Bramich was born on 10 Jun 1975 and died on 14 Jun 1975. 6-Allecia Faith Rona Bramich was born on 27 May 1976. 6-Davina Maggie Bramich was born on 12 Sep 1978. 6-Kent Padgett Bramich was born on 4 Feb 1981. 5-Sadie Margaret Bramich was born on 17 Aug 1954. Sadie married Rowland Lloyd Nunn. Rowland was born on 12 Apr 1951. They had three children: Bejamin James, Joshua Lloyd and Aiden Maxwell. 6-Bejamin James Nunn was born on 20 Sep 1980. 6-Joshua Lloyd Nunn was born on 11 May 1983. 6-Aiden Maxwell Nunn was born on 28 Oct 1987. 5-Danny Shane Bramich was born on 8 Sep 1955 and died on 13 Dec 1973 at age 18. 5-Ronald James Bramich was born on 21 Jan 1957. Ronald married Sandra Maree Sturzaker. Sandra was born on 4 Oct 1958. 5-Charles Andrew Bramich was born on 24 Nov 1959. Charles married Roslyn May Bounday. Roslyn was born on 16 Jan 1961. They had two children: Aaron Charles and Lucy May. 6-Aaron Charles Bramich was born on 13 Apr 1981. 6-Lucy May Bramich was born on 23 Sep 1983. 5-Helen Louise Bramich was born on 3 Oct 1961. Helen married Warren John Jarman. Warren was born on 15 Sep 1960. 5-Kathleen Joan Bramich was born on 9 Dec 1963 and died on 1 Sep 1966 at age 2. 5-Bridget Jane Bramich was born on 22 Aug 1968. 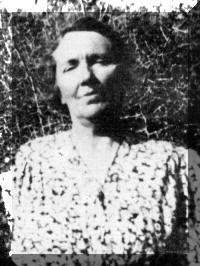 5-Emily Alice Bramich was born on 21 Dec 1973 and died on 21 Dec 1973. 4-Phyllis Lorraine Viney was born on 28 Feb 1936 in Deloraine, Tasmania. Phyllis married Keith Oakley Hendley in 1955 in Holy Trinity Roman Catholic Church, Westbury, Tasmania. Keith was born on 24 Nov 1927 in Launceston. They had four children: Kay Lorraine, Gail Fay, Lynn Sharon and Ave Jill. 5-Kay Lorraine Hendley was born on 12 Oct 1957. Kay married Peter Andrew Clark. Peter was born on 4 Jan 1958. They had two children: Kristin Laureen and Aaron Peter. 6-Kristin Laureen Clark was born on 24 Feb 1983. 6-Aaron Peter Clark was born on 8 May 1985. 5-Gail Fay Hendley was born on 12 Jul 1961 in Launceston. Gail married Robert Trevor Claridge, son of Trevor Claridge and Dorothy Howell. Robert was born on 16 Jun 1957 in Queen Victoria Maternity Hospital, Launceston. They had two children: John Robert and Sheryn. 6-John Robert Claridge was born on 10 Aug 1979 in Launceston. John married Holly Rebecca Ranson on 19 Mar 2011 in Launceston. Holly was born on 19 Nov 1988 in Launceston. 6-Sheryn Claridge was born on 26 Nov 1982 in Victoria. Sheryn married Daniel Fenton in 2008 in Turners Marsh, Tasmania. They had three children: Sara Gail, Gemma Helene and Ava Leigh. 7-Sara Gail Wilkin was born on 28 Sep 2004. 7-Gemma Helene Fenton was born on 6 Nov 2008. 7-Ava Leigh Fenton was born on 29 Oct 2010 in Launceston. Gail next married Lyndon John Menegon about 1990. Lyndon was born on 11 Feb 1948. 5-Lynn Sharon Hendley was born on 27 Sep 1963 in Launceston. Lynn married Michael Charles Halaby. Michael was born on 7 Apr 1958 in England. They had one daughter: Amy Claire. 6-Amy Claire Halaby was born on 21 Mar 2001. 5-Ave Jill Hendley was born on 17 May 1966. Ave married Michael Frederick Jordan. Michael was born on 16 May 1965. They had two children: Toby James and Bryley Joseph. 6-Toby James Jordan was born on 6 Jun 1998. 6-Bryley Joseph Jordan was born on 10 Mar 2002.